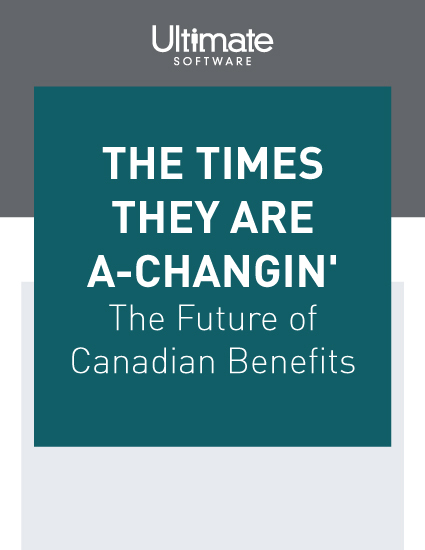 Discover the three megatrends changing the landscape of Canadian benefits. With the landscape changing for both employers and employees, employee benefits will be transforming as well. It’s an employee’s market, and today’s workers want—and need—more from their workplace experiences. With the labour shortage already affecting much of Canada, organizations that neglect to listen and respond to the changing workforce will find themselves left behind in the search for talent. Cecile Alper-Leroux, vice president of HCM innovation at Ultimate Software, discusses three megatrends currently taking place and the changes you can expect for your benefits. In a world of change, one thing remains constant: people want to be treated like people, not resources. Please fill out this brief form to access your Canadian benefits guide.